Most Pride Festival organizers have something special in mind for the 2019 Pride celebrations. The reason for expanding the celebration is the 50 year anniversary of the Stonewall uprising and the beginning of a worldwide Pride movement. And that is an awesome reason to up the celebrations! As we did last year, we’re providing you with a new list of awesome LGBT pride events in Europe for this summer. 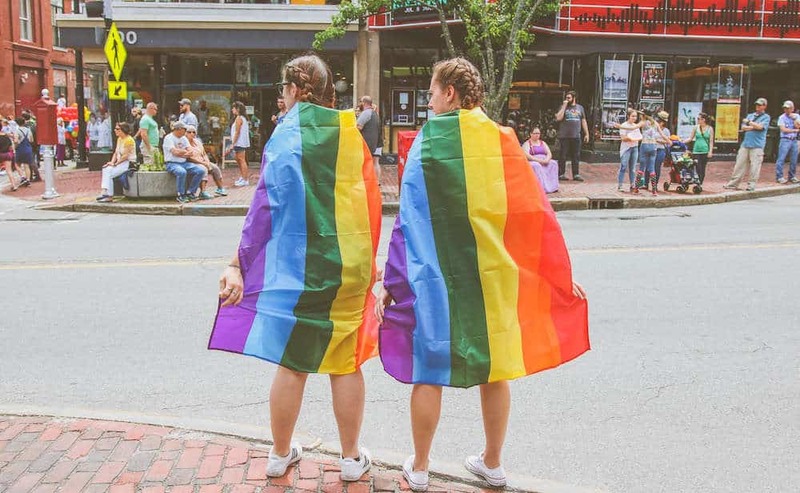 We added a few extra and cool LGBT pride parades to give you a little more choice when it comes to finding an awesome LGBT Pride Festival to attend. 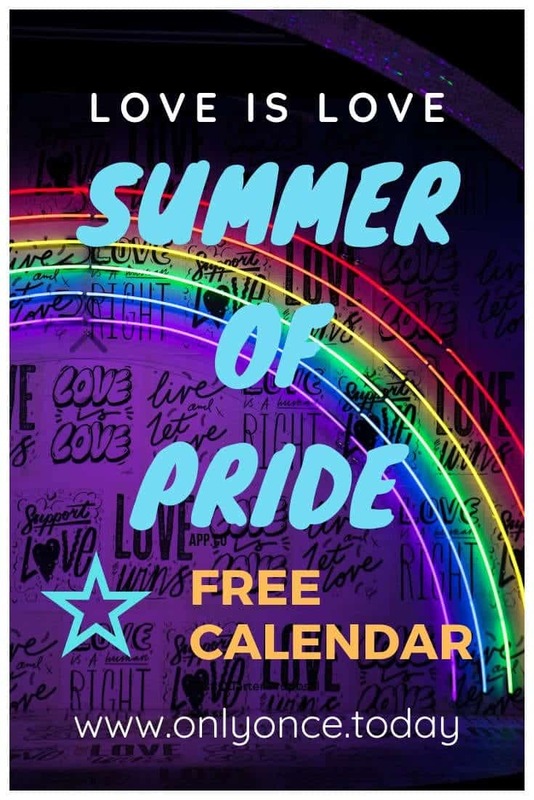 So check our Pride Parade calendar as we tried to find a Europe Pride 2019 Festival for each weekend this summer! Some events are planned on the same date as other events… and some weeks could not be filled up. But still, there’s so much choice when it comes to celebrating Pride in Europe. 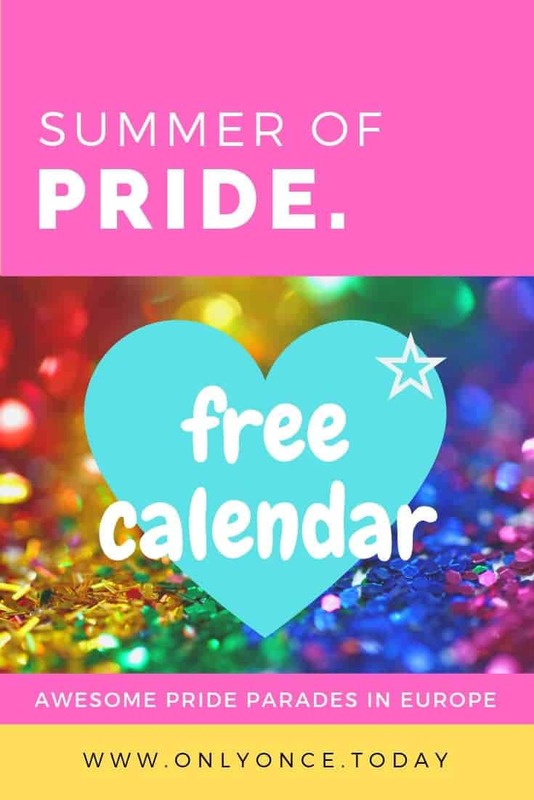 That’s exactly why we updated our LGBT Pride Calendar for 2019 with the right dates for all the important Pride Festivals in Europe! Scroll through the months to find a Pride Festival that looks right for your travel dates. We included Pride Parades like Madrid Pride, Amsterdam Pride, London Pride. The host city for the 2019 EuroPride is Vienna in Austria. These are the Europe Pride dates 2019! Usually, the Belgian Pride is one of the first LGBT+ Pride events of the summer season. 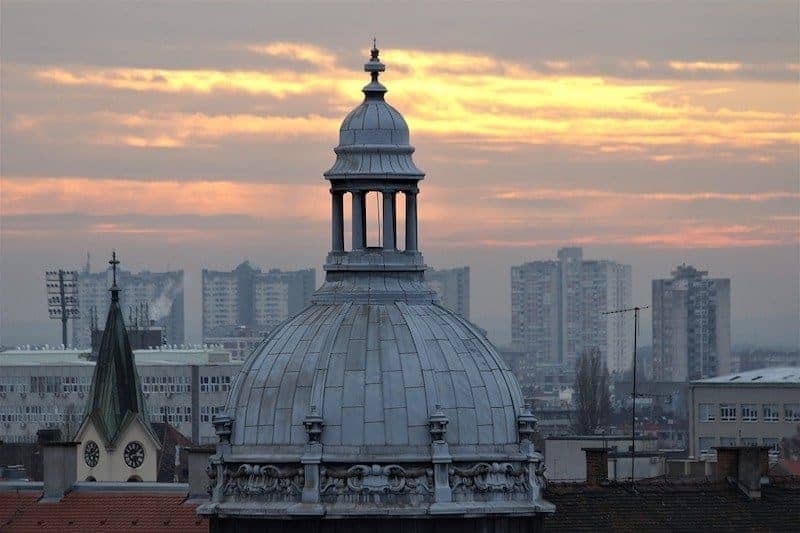 The event takes place at the end of May in the Capital of Belgium: Brussels. 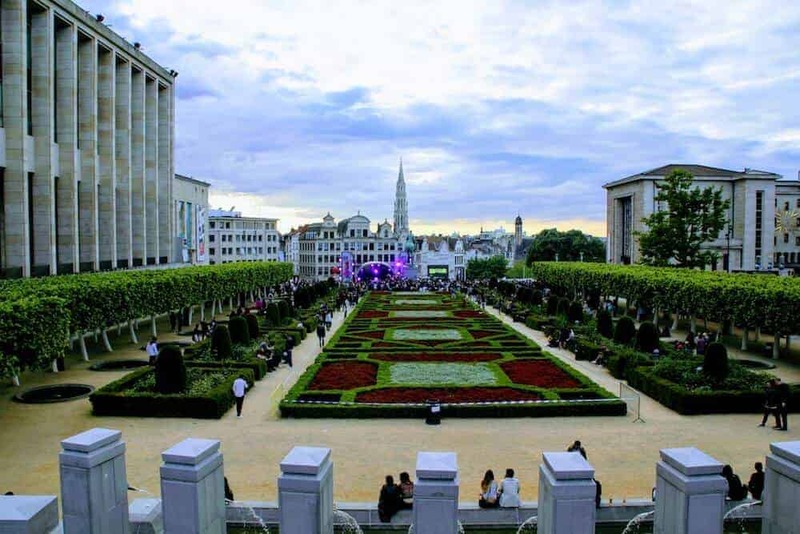 During the Brussels Pride, you can visit the Pride Village at the Mont Des Arts from 12 to midnight. The actual Pride Parade starts at 14h30. Also at the Mont Des Arts, you can find the Women’s Square, equipped by the successful Velvet 69 team. The Rainbow Village is located at the Rue Des Pierres and events in this location start Friday 18 May and last until Sunday 20 May. Inside the Rainbow Village, there’s an early start to the Pride festivities and you can attend DJ sessions, a disco drag afternoon, and multiple parties. We recommend the NH Grand Place Arenberg as it is close to the action, centrally located and LGBT+ friendly. The Radisson Red Hotel and Park Inn by Radisson are both great LGBT-friendly option in the city center. Stay in the lovely Sablon area at the 9Hotel Sablon. See the map below for the actual Pride Parade Route through Brussels. Birmingham Pride is one of the first European Prides in 2019. The actual Pride Parade is happening on the 25th of May. The Birmingham Pride event starts on the 25th of May 2019 and it lasts until Sunday night. Some of the events require you to buy tickets in advance, so you should check the Pride website to get these. There is an entire Pride village and tons of activities and parties. Birmingham Pride also hosts a women’s area, so make sure to check that out as well! Hotel Indigo Birmingham is set in a very cool building and it’s an LGBT-friendly boutique hotel in the city center. Staybridge Suites Birmingham offers comfortable and stylish suites in Bermingham city center. This place has all you can wish for, including a fitness center. 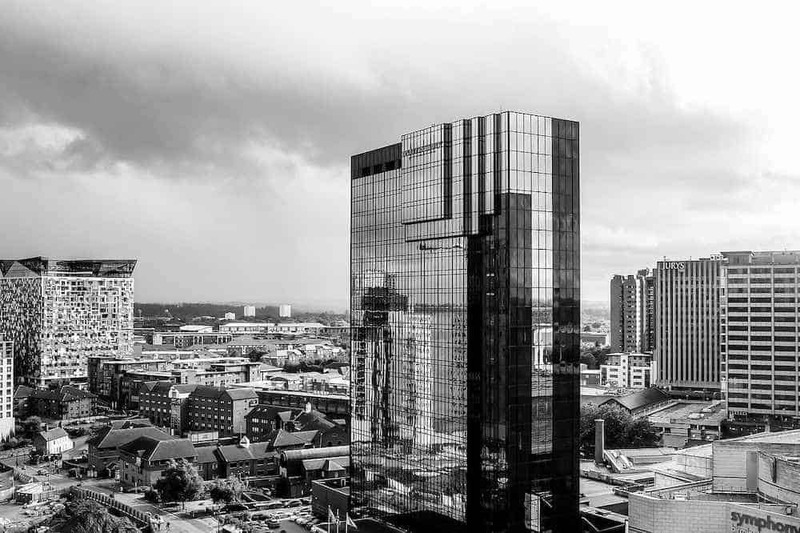 AC Hotel Birmingham brings MarriottLifestyle for a decent price in the city center of Birmingham. 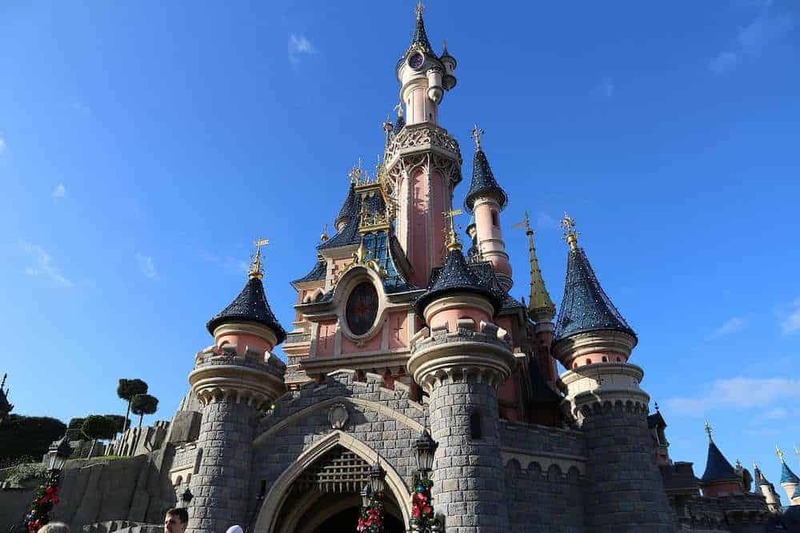 For the first time ever, Disneyland® Paris is organizing an LGBT Pride event and everybody is going crazy! The Magical Pride happens on the 1st of June 2019 inside the Walt Disney Studios Park in Paris. Make your fairytale dreams come true! You can expect a lot of glitter and glamour for this event. It is bound to meet your expectations and go beyond your wildest dreams! Disneyland® Hotel is the best accommodation for your visit to Disneyland®! It’s over-the-top lovely and sparkly. Rooms sell out quickly, so no time to hesitate about this one! This place is as close to the action as it gets! The Vienna House Dream Castle is a dreamy hotel near the park and it’s a traveler favorite. Want to save you money to spend during the Pride? Have a look at the Radisson BLU Hotel or the Ibis Marne La Vallée. For the 25th time, Rome organizes an LGBT+ Pride event in the ancient streets of this fabulous city. 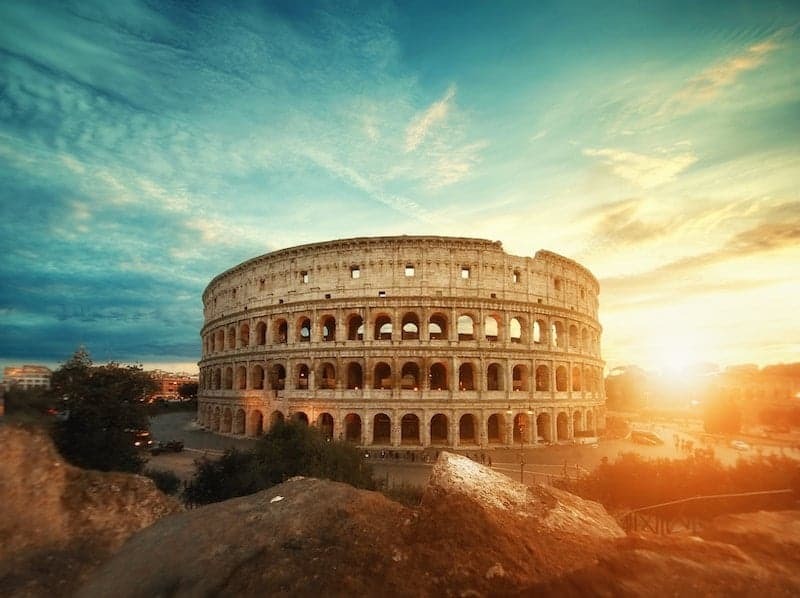 Since Rome should be on every traveler wish list ever, why not visit this interesting city during the Pride festival? Rome Pride is one of the Great European Pride events. Even though they haven’t published their complete Pride calendar yet, there will be tons of events and activities you can attend in the capital of Italy during this year’s Pride event! As we already mentioned in our article with lesbian-owned accommodation, Cavour Forum Suites in Rome is a luxurious guest house in the heart of Rome. We especially recommend this place for all lesbian travelers visiting Rome, whether you’re visiting during the Pride Event or not. Missed out on the Cavour Forum Suites? Radisson BLU Es. Hotel is also a great choice for spending the night in an LGBT-friendly environment. Furthermore, this hotel is located in the center of Rome. Other awesome accommodations in Rome are the Maison Tritone and the Cappuccino Guest House. Zagreb Pride in the capital of Croatia is the largest Pride Event in Croatia. Even though some of the other cities in Croatia organize LGBT+ events during the summer months, we didn’t mention them in this list. There’s so little information to be found about these other Pride Events. There is, however a queer feminist festival in Rijeka called Lori! So the Zagreb Pride is definitely the most important Pride Event in Croatia! The Pride Parade in Zagreb takes place on the 8th of June. It consists of a Pride March and closes off with a huge celebration in the evening. But you’re welcome to visit the city sooner, as there will be an entire month dedicated to LGBT activities in Zagreb. Pride Month in Zagreb starts the 17th of May. Spend the night in an LGBT-friendly hotel in the city center of Zagreb. Hotel Dubrovnik and the Carpe Diem are both great accommodation options! Athens is one awesome city trip destination that takes you back in time. 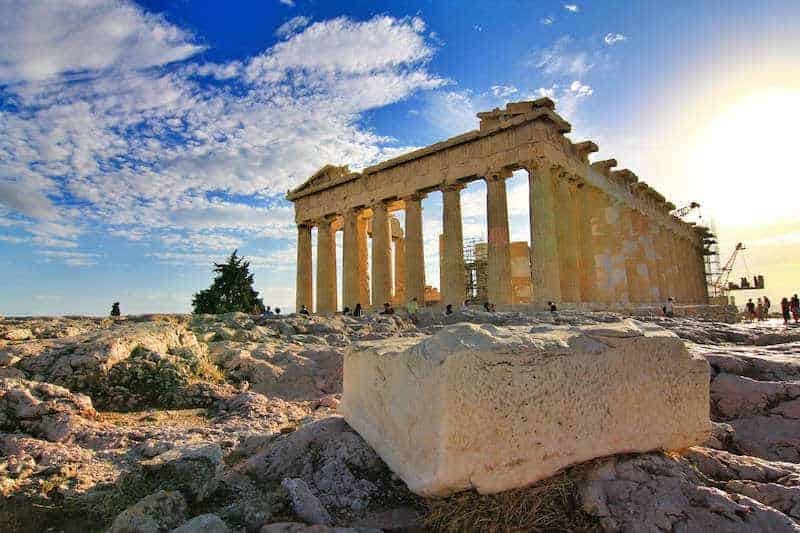 In Athens, tons of interesting historic sites await you and this beautiful Greek city is very high on our personal wish list! On top of that, you can also attend Athens Pride in June, so why not schedule your travel plans in June. This way, you can combine a visit to this great destination with some LGBT+ Pride! Athens Pride is happening on Saturday the 8th of June 2019. Athens hosts a Pride Week or multi-day event, and there are a few different activities planned, like a gala ball, a drag show, and a few parties. Keep an eye on the Athens Pride website to find more events as they get scheduled! Loads of accommodation options in Athens are LGBT-friendly. Some have a great location near the LGBT scene of the city, like the A for Athens Hotel and the Plaka Hotel Athens. Each year, the Baltic Pride moves to a different Baltic capital. Last year, the setting for the Baltic Pride was Riga. This year, LGBT+ people and their friends are welcome in the capital of Lithuania: Vilnius. So next year, the Baltic Pride will be held in Tallinn, Estonia. The concept of switching between cities is awesome and it’s a great reason to visit the Baltic Pride a few times, so you get to discover different cities each year! During the Baltic Pride, you get a chance to engage in workshops and attend different performances and activities. Aside from the main event on the 8th of June, Vilnius organizes an entire LGBT week full of events. The LGBT+ themed week starts the 4th of June and ends the 9th of June. Radisson BLU Royal Astoria Hotel is a great choice to spend the night, as it is located in the city center, close to the action. Radisson Hotels are LGBT+ friendly and offer great quality! The Stikliai Hotel and Hotel Pacai are also excellent choices in Vilnius! In 2019, the city of Sofia hosts a new LGBT Pride event. Prior to the actual Pride March, there will be LGBT activities, events, and workshops, but the exact program will be available on the organizer website soon! The 8th of June 2019 is the date to visit the LGBT Pride event in Sofia Bulgaria. This Eastern European country has been the setting for a few Pride events in the past years. 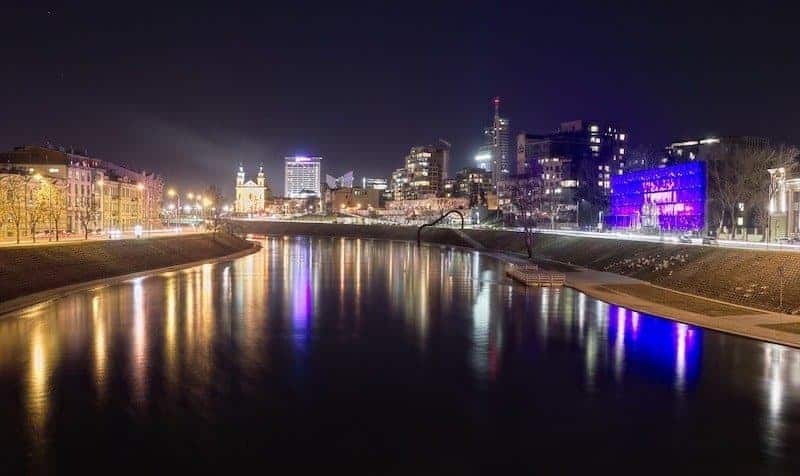 In 2019, Sofia hosts a new Pride event! The actual Pride Parade will take off in the afternoon of June 8 at the Soviet Army Monument in Sofia. Bulgaria might not be the first destination that pops in your mind when searching for LGBT destinations. 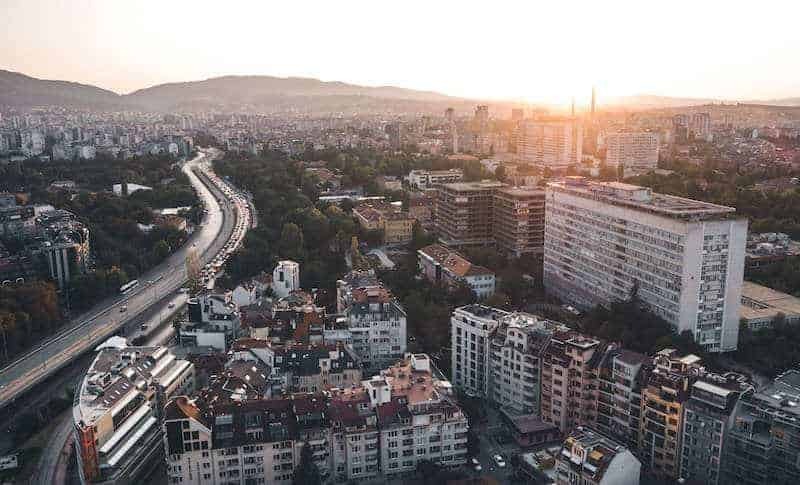 However, Sofia has a few interesting spots to visit for LGBT nightlife, as well as, saunas and LGBT-friendly hotels in Sofia! Scotty’s Boutique Hotel is an exclusively LGBT hotel in Sofia. All of the staff is LGBT and the hotel caters specifically for an LGBT crown, but it’s also straight-friendly. Scotty’s is a budget-friendly hotel option with a central location. Central Hotel Sofia is perfectly located near the city center and it’s quite popular with LGBT travelers. In Sofia, you can also book an entire apartment for your stay. Baratero Opera Apartments are spacious and centrally located, which is perfect for attending the Sofia Pride! 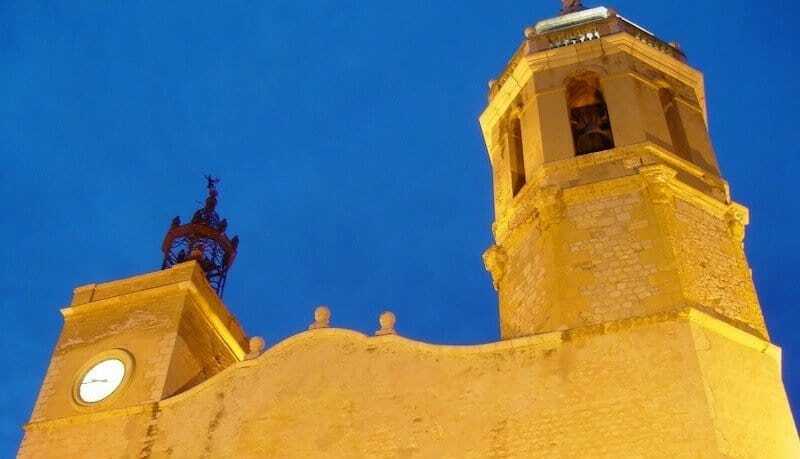 Sitges is an all-time favorite for LGBT travelers and it’s a true LGBT hotspot. There’s even a Gay Sitges App you can download on your mobile phone. For the tenth time, a Pride event is being organized in the beach town of Sitges. The first of June, Sitges Pride opens with a big party, followed by 10 days of Pride Parties and activities. There’s a foam party, a boat party, and multiple pool parties. At the Gay Pride Village, 5 days of Pride fun are guaranteed. It’s a custom built mini-village with food stands, activities and a large stage for artist performances. The Main Pride Parade in Sitges will happen on the 9th of June 2019. The official Pride Hotel in Sitges is the Iberosol Antemare. This hotel is for adults only and since it’s the official Pride Hotel, it might already be fully booked. Another option is the Casa Rainbow, La Santa Maria, or Parellades Hostal. 15junAll DayVienna EuroPrideEuroPride Host 2019: Vienna! In 2019, Vienna is the host of the EuroPride Festival. For the 19th time, Vienna organizes an annual Pride Parade and this year it promises to be bigger and better than any other year! Vienna was already the host for EuroPride in 2001 and it proved to be a big success. This year, the city expects over a million visitors for the EuroPride, so you won’t ever feel lonely during Pride Week! With a motto ‘Visions of Pride’, Vienna invites all visitors to think about their personal vision of things in life, especially their pride. The Pride Week in Vienna actually lasts 2 weeks. It starts on the 1st of June until the 16th of June. During these 2 weeks, people can visit the Pride village at the Town Hall Square where tons of activities are organized. The big bang of the actual Pride Parade or Rainbow Parade takes place on the 15th of June 2019. 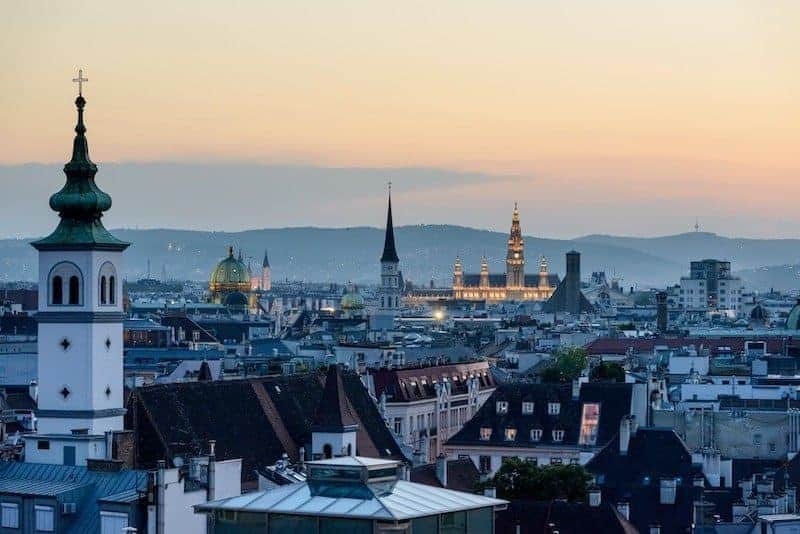 Finding LGBT-friendly accommodation in Vienna isn’t difficult and LGBT are welcomed everywhere. For recommendations, we suggest staying at the Radisson BLU Style Hotel in the center of Vienna or the NH Wien City. Zurich Pride is celebrating their 25th anniversary in 2019 and they’re planning a massive celebration for that! The LGBT Pride festival is the largest LGBT+ event in Switzerland and it’s so worthy of your time! So if you plan on visiting Switzerland this summer, plan your travel dates accordingly! 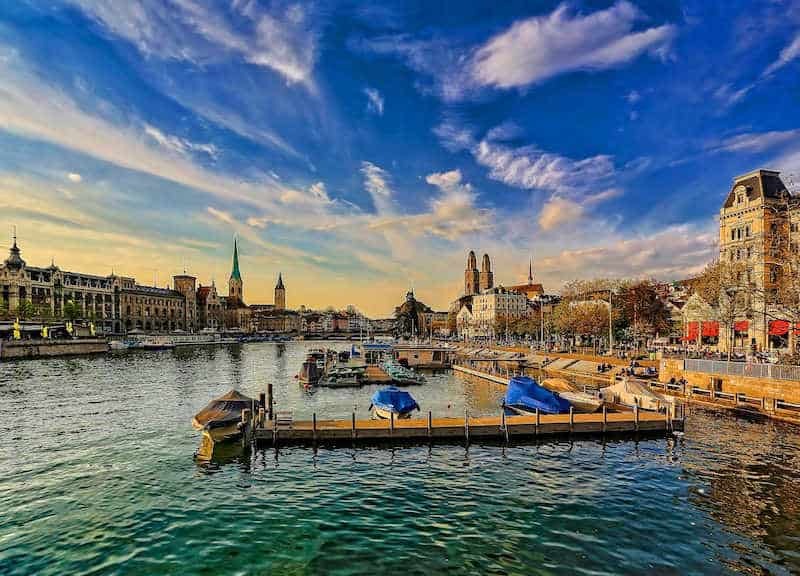 Pride Week in Zurich lasts for 2 full weeks, starting the 1st of June and ending the day of the Pride Parade. During the Pride Festival, many activities and festivities will be scheduled. The actual Pride Parade takes place on the 15th of June and everyone is welcome! Switzerland is a tolerant and open-minded country where LGBT are accepted widely. So each hotel you book will be happy to have you, LGBT or not! Ladys First is a hotel in the center of Zurich that focuses on women! Yes! Who would have thought that? Men are welcome too 🙂 It’s located in the city center. Hotel Alexander is another LGBT-friendly and centrally located accommodation option. Motel One Zurich is a very budget-friendly option for travelers who like to spend their money elsewhere. However, this place is beautiful and centrally located! Ljubljana Pride in the capital of Slovenia has been a thing since 2009 and the event keeps growing each year. The capital of Slovenia is not only planning an LGBT Pride Parade, but they have an entire Pride Month in mind. Activities during Pride Month include a lesbian picnic, a bisexual meetup, concerts, parties, workshops, and loads of other Pride-related activities. In Ljubljana, the Best Western Premier Hotel Slon is an LGBT-friendly choice. Hotel Cubo is also LGBT-friendly and it’s praised by travelers. For budget travelers, the Kva Hostel is a beautiful hostel in the city center. Turn Hostel is, if possible, even more beautiful and a backpacker favorite! With the largest Pride Festival in Norway, Oslo expects the 2019 Pride event to be splendid, just like it is each year. Oslo has a sublime location by the water and they beautifully integrate that location into the Pride event. The entire Pride festival runs from the 19th of June until the 23rd of June 2019. Visit the Pride Park at Spikersuppa Rink in the city park. Pride Park is a place to gather and meet. There will be plenty of activities, artists, show, DJ sets, and parties. Festivities at the Pride Park start on the 19th of June until the 22nd of June. Pride House is the location of the Pride Art exhibit and there will be possibilities to engage in the LGBT scene or gain information. The Pride House opens on Saturday the 23th of June until the 29th of June. The actual Pride Parade March in Oslo takes place on the 22nd of June and it is the highlight of the Oslo Pride Festival. Spend the night in Oslo, close to the action in the Park Inn by Radisson, the Radisson Blu Plaza Hotel or the Citybox Oslo if you want to spare you budget for other activities. Rather save your budget for the Pride party? The Saga Poshtel Oslo Central Hostel is also a great budget-friendly option! 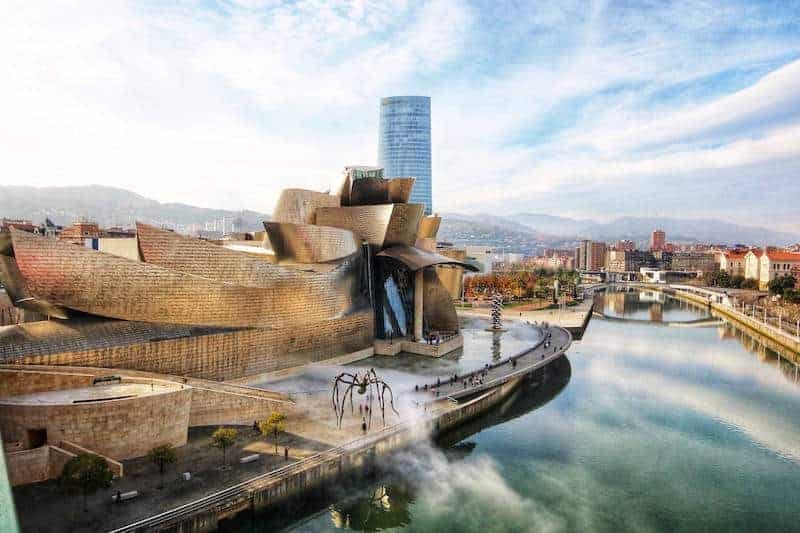 This Pride takes place in Bilbao in the Bay of Biscay in the North of Spain. The Pride Event in Bilbao lasts for a long weekend from the 21st until the 24th of June 2019. During the weekend, you can attend art exhibitions, movie screenings, and live music events. There’s also a Rainbow Market where you can buy market crafts and street entertainment. The actual Pride Parade is happening on Saturday the 23rd of June 2019, starting at 17h. After the Pride March, a big party is held at the Muelle de Ripa. Hotel Miro is an LGBT-friendly accommodation in the city center of Bilbao. Also located in the city center, NH Collection Villa de Bilbao is another great accommodation option. Also, check out the Cosmov Bilbao Hotel and the Gran Hotel Domine. Barcelona Pride is a 2-day event in the beautiful city of Barcelona. Aside from the LGBT Pride in Madrid, Barcelona Pride is the most popular yearly LGBT event in Spain. The 29th and 30th of June 2019, Barcelona turns into a cultural en queer hub. The main pride parade is held on the 29th of June. The Pride Parade starts around 16h with a pre-party. Around 17h, the actual march begins and the entire event finished with a massive street party at the Av. Maria Christina. 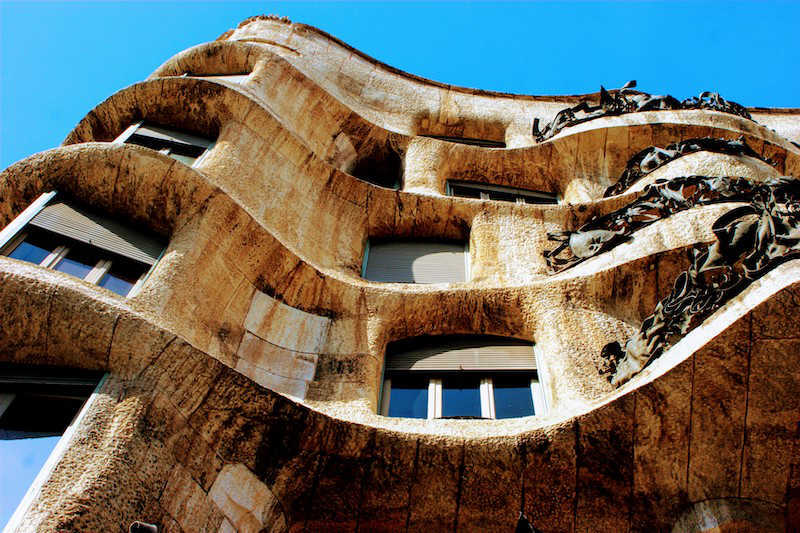 The most famous LGBT hotel in Barcelone is the Axel Hotel and the Two by Axel, both of which are also hetero-friendly. Since the 2 hotels mentioned above might be more gay-oriented, we want to give an extra recommendation for the ladies: NH Collection Barcelona. Also in Barcelona, the Gallery Hotel is cute, cozy, and popular! For budget travelers, the Rodamón Barcelona Hostel offers affordable dorm beds and private rooms. Milan Pride is the largest LGBT Pride event in the North of Italy. Last year, over 250 thousand visitors attended the Pride Parade in Milan and this year they’re even expecting more visitors. Pride Week in Milan starts the 21st of June and ends on 30 June. The Pride Square will be open to visitors from the 27th of June until the 29th. 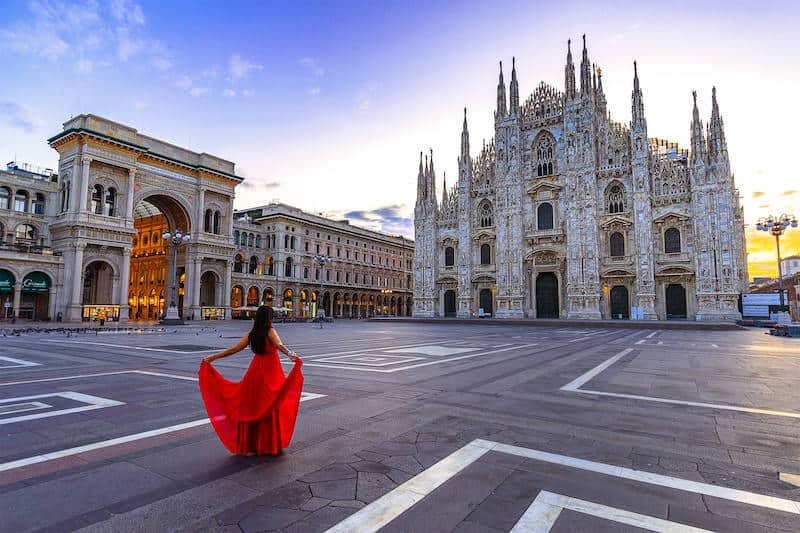 Usually, during Pride Week, visitors can attend workshops, movies, theater performances, parties, and other LGBT activities, like Miss Drag queen or Mister Gay North Italy. If you plan on spending the night in Milan, try the LGBT-friendly Ibis Hotel in the center of Milan. In the city center of Milan, the Locanda Pandenus Brera is a traveler favorite. Moscova Luxury B&B is an ideal choice if you want to be pampered and Castello Guest House looks amazing! Dublin LGBT Pride takes place in June each year. Starting off with an entire Pride week from 20 to 29 June and ending with a huge LGBT Pride March on the 29th of June 2019. During Pride week, other events are organized, like a 5K Pride Run and various performances and speeches. The Dublin Pride Parade will start marching at 14h on the 29th of June. There will be music and parties going on until 2 o’clock the next morning. As one of the largest yearly events in Dublin, the LGBT Pride event is bound to be successful. So if you want to walk together with tens of thousands of LGBT and their allies, Dublin is waiting for you to join the forces! Dublin offers a wide array of LGBT-friendly accommodation near the city center and near the Pride action! 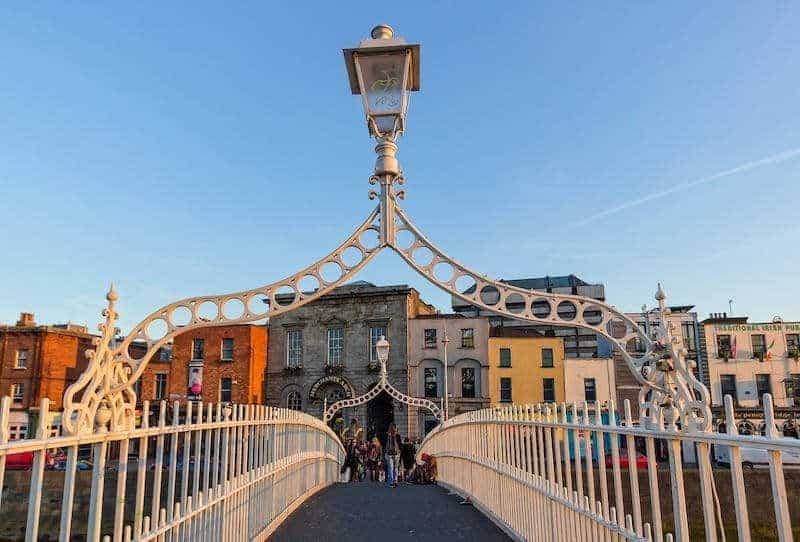 These are some of your best choices for LGBT-friendly accommodation in Dublin: The Temple Bar Inn, Blooms Hotel, and the cool Generator Hostel. In France, there are a dozen Pride Events you can attend during the months of May, June, and July. 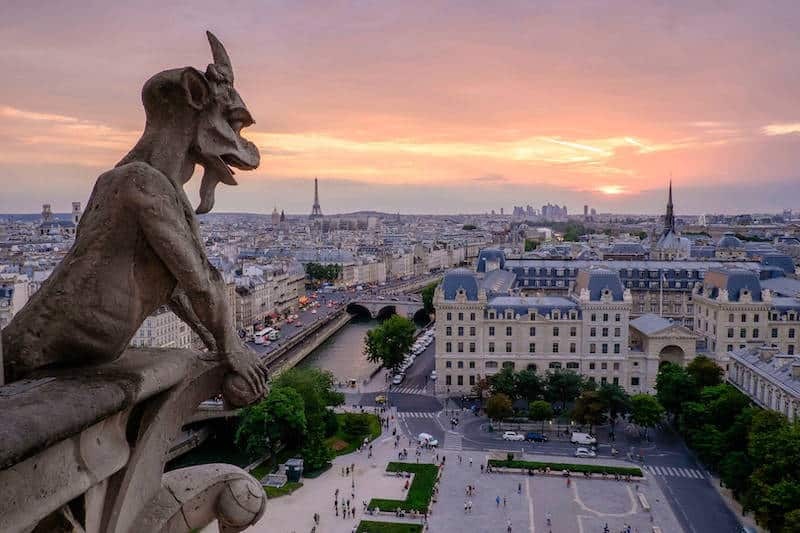 We feature the Paris Pride Event in this article, but you can find the other event dates on the GayPride France website. The Paris Pride Festival tends to be a huge success each year. Party date for 2019 is the 29th of June 2019! Paris has quite a few LGBT-friendly hotels to offer for Pride visitors. First of all, D’Win Hotel has an exquisite location and it’s affordable. Hotel Elixir has a central, but quiet location and beautiful rooms. To experience the cozy charm of the city of love, try Hotel Le Petit Chomel. If you want to bathe in luxury, Hotel The Peninsula Paris is the one for you! You can also get luxury and a swimming pool in the Hôtel du Rond-Point des Champs-Elysees. Would you rather spend your money on other stuff? Have a look at the Campanile Paris and the Hôtel de Sévigné. 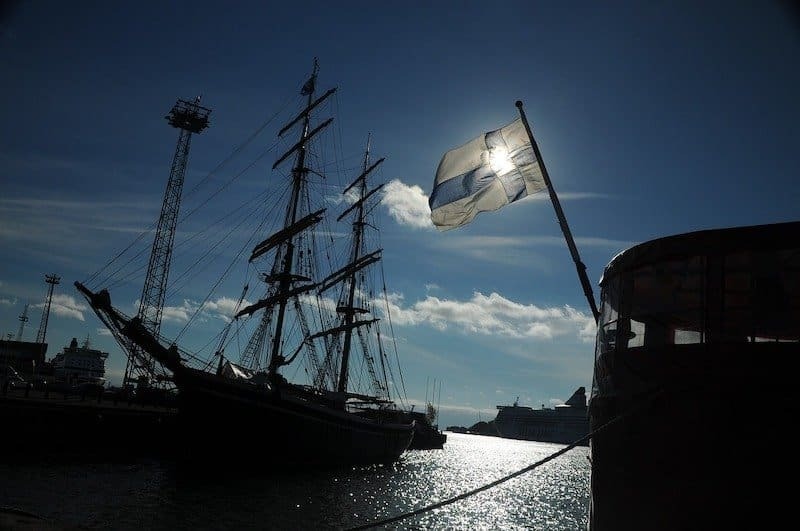 Celebrate Pride in Helsinki Helsinki is another Scandinavian Pride destination and LGBT can expect a warm welcome in any Scandinavian country. Finland is no exception to this open-minded atmosphere. Helsinki is another Scandinavian Pride destination and LGBT can expect a warm welcome in any Scandinavian country. Finland is no exception to this open-minded atmosphere. Helsinki hosts a Pride Week each year. This year, Helsinki Pride Week is planned for 24 June until 30 June 2019. Last year, 90 LGBT activities and events were organized during Pride Week in Helsinki. 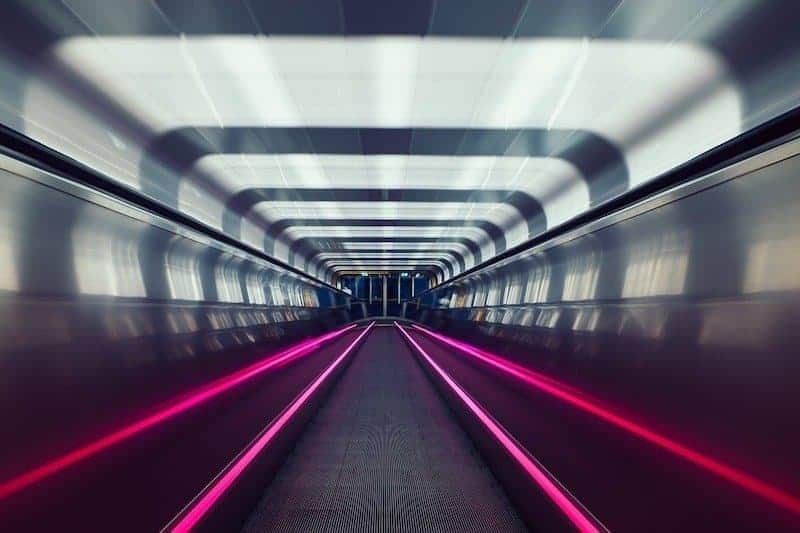 2019 will be no different and there will be a new abundance in activities and festivities. Keep an eye on the Helsinki Pride website to find out more about the different Pride Events as they get scheduled. The highlight of Pride Week is, of course, the Pride Parade and a Park Fest Party on the 29th of June. Last year, over 100 thousand people attended Helsinki Pride. This year, will you be one of them? Hotel Klaus K is an explicitly LGBT-friendly hotel in Helsinki. The hotel offers beautiful rooms, luxury suites, and special art rooms as well. Hotel Katajanokka is an experience hotel, set in a former prison. This hotel looks cool and stylish. Hotel Finn, Hotel Indigo, and Hotel Helka are all explicitly LGBT-friendly hotels in the city center of Helsinki. They’re all part of the Gay Travel Finland list with LGBT-friendly accommodation in Finland and the We Speak Gay Community. If you want your budget to stretch a little further in Helsinki, we can also recommend these LGBT-friendly hostels in Helsinki: Myö Hostel and Yard Hostel Helsinki, both of which are located in the city center. Suomenlinna Hostel is a beautiful and relaxed hostel, located on a small island in front of the Helsinki shore. The LGBT Pride Parade in Madrid is one you should at least visit once. Madrid is an awesome destination whether or not there’s a Pride Parade. So it’s an even better destination when the capital of Spain is overflowing with Pride. 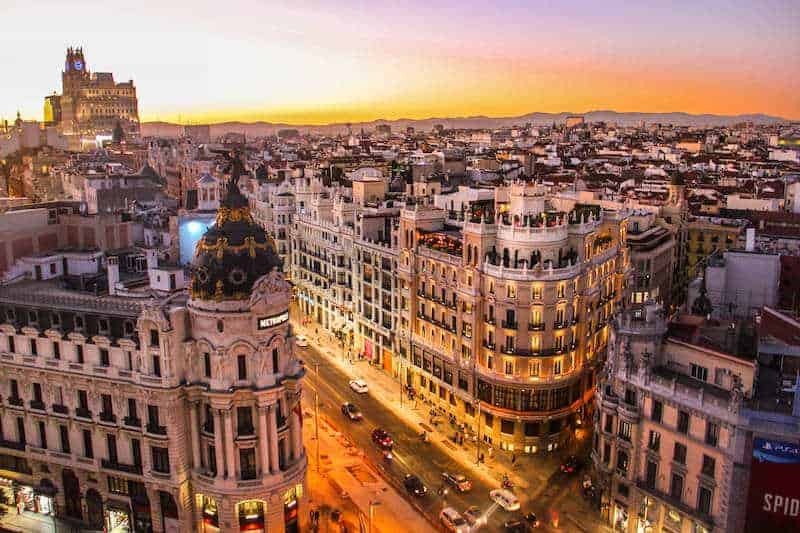 Madrid is one of the top lesbian cities in Europe. We visited the World Pride in Madrid in 2017 and it was spectacular. Each of the Plazas in town was decorated in rainbow colors and there were tons of events to attend. Pride Celebrations in Madrid last for over a week, starting on Friday, the 28th of June and they last until Sunday the 7th of July. The actual Madrid Pride Parade is held on the 6th of July. The march starts at 17h30 and the massive street party continues until midnight. These accommodation options are also recommended by the Pride Madrid website and they’re all LGBT-friendly. Hotel Sidorme Fuencarral 52 is a hotel that recently opened in a renovated building in the city center. This hotel has serene and beautiful rooms! The Petit Palace Chueca is located in the middle of the Pride action and is also LGBT-friendly. Hostal Colors is a more budget-friendly option for travelers who want to spend their Euros otherwise! Usually, Budapest Pride happens at the end of June. But in 2019, the LGBT Pride March in Budapest is held in July. The 6th of July to be more precise. Budapest is a pretty cool place to visit and it has tons of beautiful sights and eclectic ruin bars. So when visiting the LGBT Pride in Budapest, make some time to see the city itself! The Budapest Pride March starts at 15h and it closes off with a spectacular Rainbow party in Budapest Park at night! Budapest LGBT Pride teams up with the Sziget Festival and visitors of the festival can visit the LGBT tent at Sziget festival. Most hotels in Budapest are open for all travelers. Hotel Clark is LGBT-owned, so definitely a great choice for LGBT travelers. The Iberostar Grand Budapest has an excellent location in the heart of Budapest. With an even better location, the Sofitel Budapest Chain Bridge Hotel is also a fabulous LGBT-friendly choice in Budapest. Budapest also has a few budget-friendly accommodation options. The Activity Hostel and the Maverick City Lodge are both cool and popular lodging options. 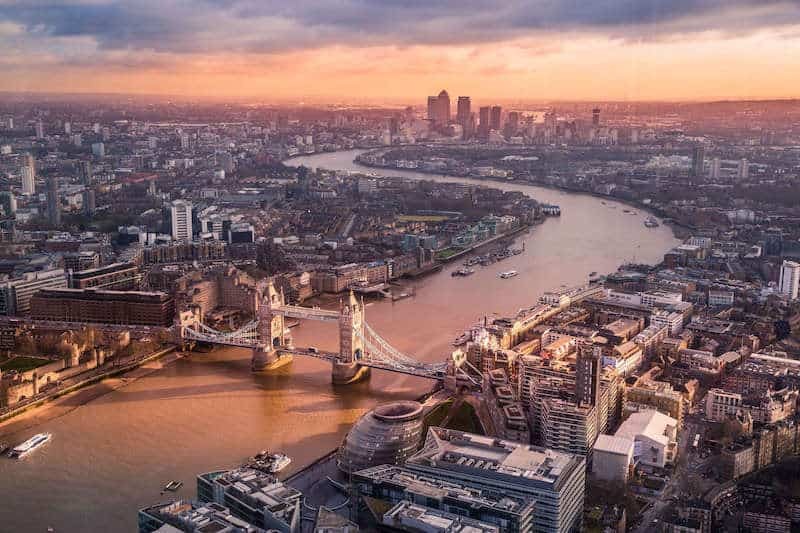 London is a perfect city for an exciting city trip. Why not plan your travels according to the London LGBT Pride Event? The London Pride is happening on the 6th of July 2019. One of the cool events organized during the London Pride Festival is the Pride’s Got Talent show where LGBT+ members can showcase their talents. Apply to perform in one of 2 categories during Pride’s Got Talent this year! Finding LGBT-friendly hotels in London Is not too difficult! First on our recommendation list is the May Fair Hotel, a popular and stylish hotel in the center of London. The Radisson Group offers LGBT-friendly hotel experiences to its customers and London has quite a few Radisson hotels! Radisson BLU Edwardian Kenilworth, Radisson BLU Edwardian Mercer Street, Radisson BLU Edwardian Hampshire, … just to name a few LGBT-friendly hotels in London! But there are many more!! Would you rather save your money for the party? Check out the popular SoHostel and the Astor Hyde Park Hostel. 06julAll DayCologne PrideMany. Together. Strong! Cologne Pride or Christopher Street Day Cologne is among one of the largest Pride events in Europe. In 2018, more than a million spectators attended the Pride Parade in Cologne. This year, there might even be more visitors. Cologne Pride offers a 2-week program, starting on the 22nd of June 2019. The actual Cologne Pride Parade will happen on Saturday the 6th of July. The entire weekend is filled with animation and parties! Cologne, like the rest of Germany, is a very LGBT-friendly city. Any hotel will welcome LGBT visitors with open arms. The CSD Cologne organization recommends a few hotels that are explicitly LGBT-friendly. The Park Inn Hotel by the Radisson Group was recently renovated, so you can expect modern rooms and on top of that: the hotel offers great views over the city. 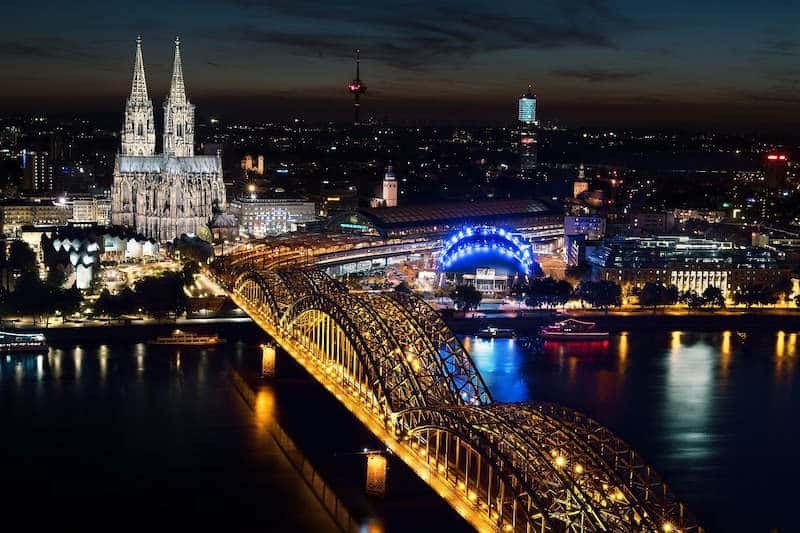 Located very close to the city center, Holiday Inn Express Cologne is perfectly located and also offers awesome views over Cologne. This is an LGBT friendly hotel in Cologne. Steigenberger Hotel is located in the city center and close to the Pride action! 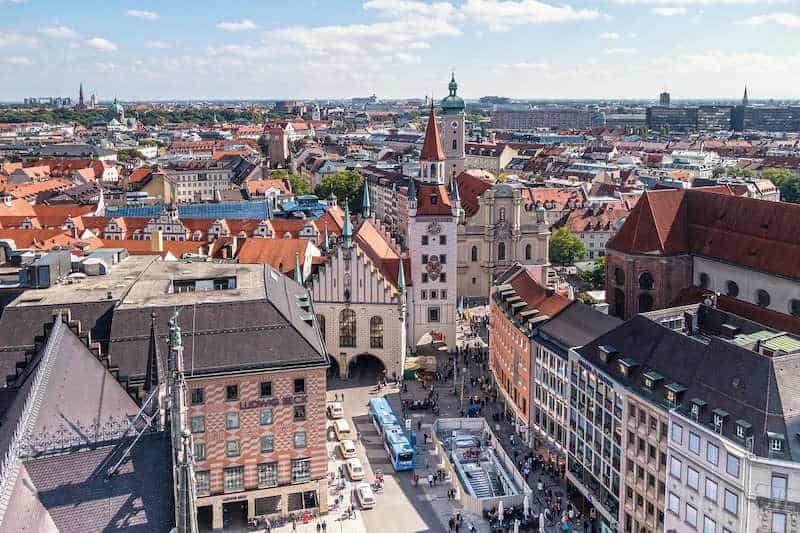 Munich Pride or Christopher Street Day Munich is planned for Saturday the 13th of July 2019 at the Mariënplatz. But the Pride Parade event is not the only event that is happening during Pride week in Munich. Pride week starts on the 6th of July and lasts until the 14th of July 2019 this year. During this week, tons of activities are scheduled, like a CSD Street Festival, a lesbian street festival on the 6th of July, a rainbow concert, and tons of other events. CSD Munich partners with a few LGBT-friendly hotels in Munich for the Pride Week. 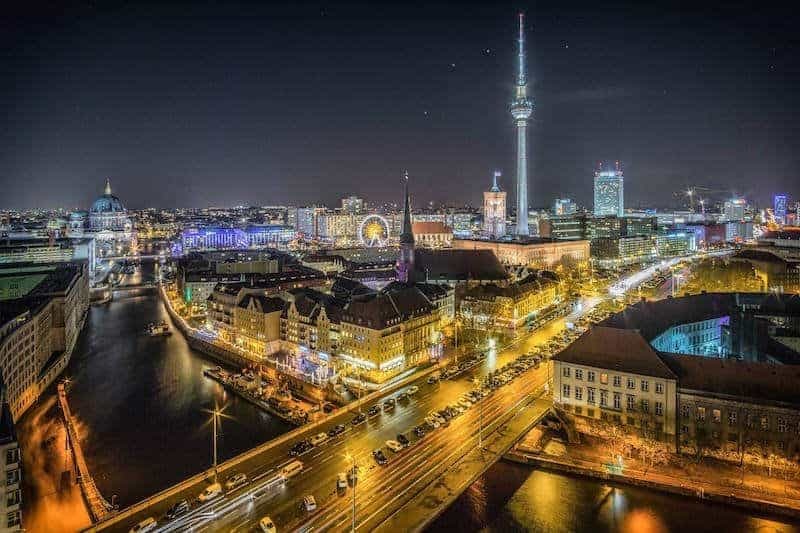 These are the hotels that are recommended by the Munich Pride organization: Hotel Torbräu, Hotel Cristal München, BOLD Hotel München Zentrum, and the Deutsche Eiche. For budget travelers, the Wombat’s City Hostel is an excellent choice! Berlin isn’t just the capital of Germany, it’s also the gay capital of Germany. With loads of places for the LGBT community to go to, we decided to add it to our list of top lesbian destinations in Europe. And it truly is! The Berlin Pride Parade or Christopher Street Day Berlin is planned for the 27th of July 2019. Aside from a massive street parade, the Berlin Pride week has tons of activities to offer to visitors. Berlin is literally bulking with LGBT-friendly hotels and accommodation. The CSD Berlin organization decided to partner with quite a few LGBT hotels in Berlin for the Berlin Pride. These are some of our and their recommendations! Hotel Berlin is a part of the Pink Pillow Berlin Collection. It looks stylish and cool! The Vienna House Easy is another beautiful hotel in the Pink Pillow Berlin Collection. Budget travelers should check out the Wombat’s City Hostel and the Circus Hostel Berlin! The Belfast Pride Festival in Northern Ireland takes a little longer than a week, starting on the 26th of July until the 5th of August. Over a hundred events take place during the 10 days of the Belfast Pride Festival. In the Pride Village at Donegal Quay is the place-to-be and there’s loads of entertainment provided for adults, as well as for children. On Saturday the 4th of August, the actual Pride Parade March in Belfast takes off at 13h at the Custom House and it finished a few hours later in the same location. This year, Belfast Pride marches a different route than before, because the number of attendees keeps growing each year and the march route was becoming too short. There are tons of accommodation options in Belfast. These are our LGBT-friendly suggestions: Titanic Hotel Belfast, MalMaison Belfast, and Ramada Encore Belfast City Center Hotel. Pride in Hamburg or Christopher Street Day in Hamburg is taking place the 3rd of August 29 with a massive Pride Parade March through the streets of Hamburg. As a great city trip destination, Hamburg invites everyone to join them in the Christopher Street day and walk with Pride. We already visited Hamburg, but unfortunately, it wasn’t during the Pride Festival. 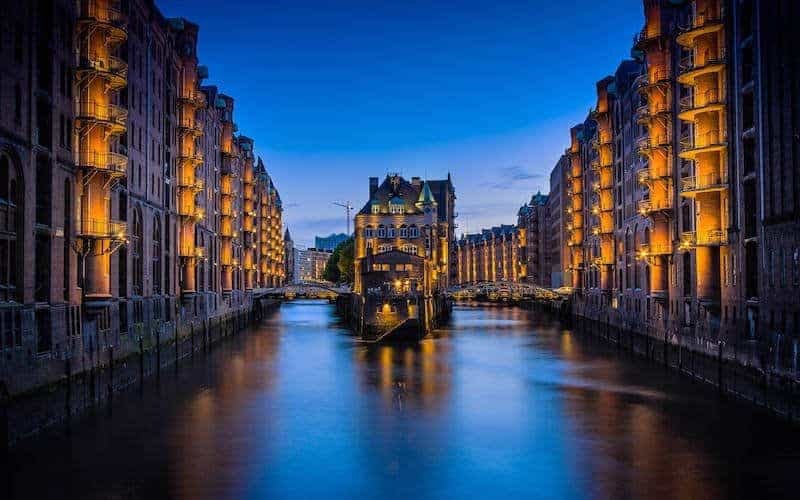 You can, however, read our guide to Hamburg here! In the city of Hamburg, Pride lasts an entire week! Pride Week in Hamburg starts the 27th of July and lasts until the 4th of August. Each year, there is also a Hamburg winter Pride in December. Hamburg is, like the rest of Germany, very LGBT-friendly. You will be welcomed in each and every hotel in Hamburg. Still, we have a few recommendations for LGBT-friendly hotels in Hamburg! First of all, the Arcotel Rubin Hamburg is an explicit LGBT-friendly hotel in Hamburg. Furthermore, the Radisson Hotel in Hamburg City is another great choice. Sir Nikolai Hotel has a great location in the Old Town, so this place offers great views from an authentic building! 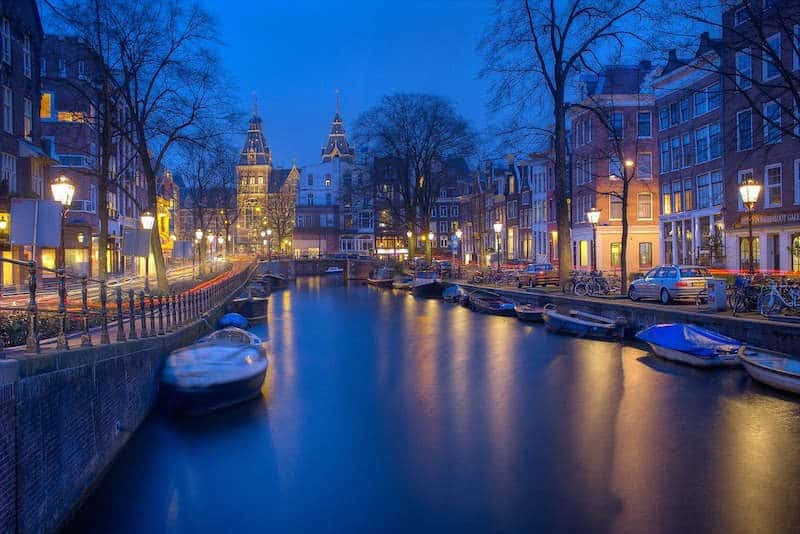 Amsterdam is one of these cities that everybody dreams about. You have to go there at least once in your life, just because it is that amazing! Amsterdam Pride is a little different than the other LGBT Pride Parade events we already listed. That’s because Amsterdam features a Canal Pride on the hundreds of canals that run through the city center. Canal Pride in Amsterdam is happening on the 3rd of August, but there’s more to see and do in Amsterdam during Pride Week! Visit the Pride Park or walk during the Pride Walk. Or maybe you can attend one of the many street parties that are scheduled between the 27th of July and the closing party on the 4th of August. All hotels and guesthouses in Amsterdam are LGBT-friendly! So you can go wild when booking your stay! We do have a few recommendations though! LGBT-friendly places for everyone include Sofitel Legend The Grand Amsterdam, Mauro Mansion, NH Collection Amsterdam Barbizon Palace, and NH Collection Amsterdam Grand Hotel Krasnapolsky. For men only: Anco Hotel in the city center is for men only. Amistad Hotel is a gay hotel with gay owners. In 2018, Stockholm and Gothenburg were the places to be for the EuroPride. This year they’re organizing a new Pride Parade and a Pride Week with loads of events and activities. Pride Week in Stockholm starts the 29th of July and ends with a bang on the day of the actual LGBT Pride Parade: Saturday the 3rd of August. At the time of writing, Stockholm Pride has not yet released their Pride Program for 2019. 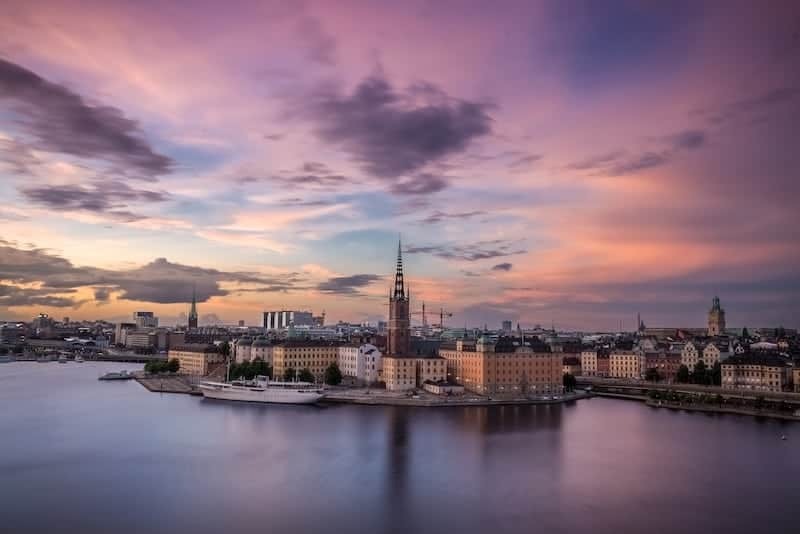 Stockholm is a great destination for lesbian travel all year. We added this stunning city on our list of best lesbian cities in Europe! All of Scandinavia is super LGBT-friendly, so you won’t have any trouble finding a great hotel that welcomes all. The Haymarket Hotel is another great option. This hotel has an awesome location and it’s set in a house from the ’20s. Brighton Pride is one massive party that lasts for days! It might be the most popular Pride Event in the UK! Tons of activities and festivities are planned during the Pride Event, which starts on the 2nd of August and lasts until the 4th of August. There’s a huge Pride Festival in the park, but also a Pride Village Party, A LoveBN1Fest and of course, a Pride Parade. Prepare to party all weekend! The Brighton Pride is happening during high season when prices are all the way up in the sky. So Brighton Pride offers a Pride Campsite at Waterhall. Reserve a spot here. Legends Hotel is a gay hotel at the Brighton seafront, which sells out quite fast! 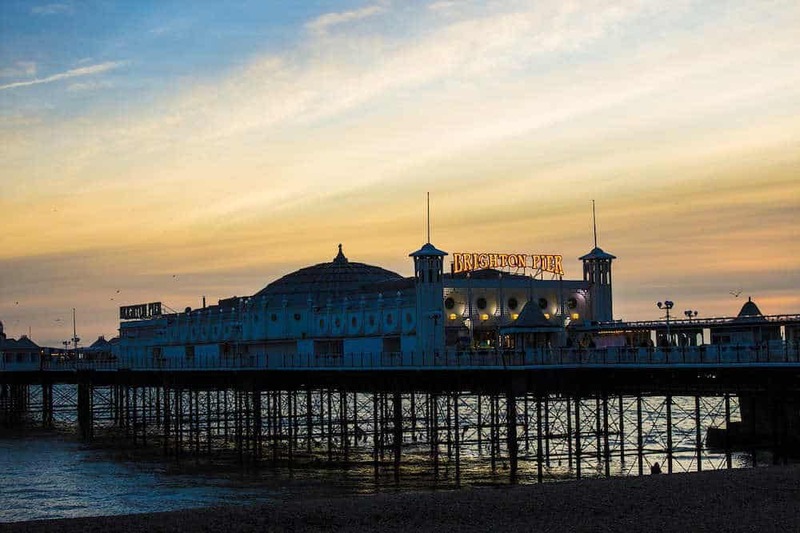 Other great options in Brighton are The Grand Brighton and The Jurys Inn Brighton Waterfront. The actual Antwerp Pride Parade March takes place on Saturday the 10th of August, but there will be Pride events all week. The global events run from the 7th of August until the 11th. 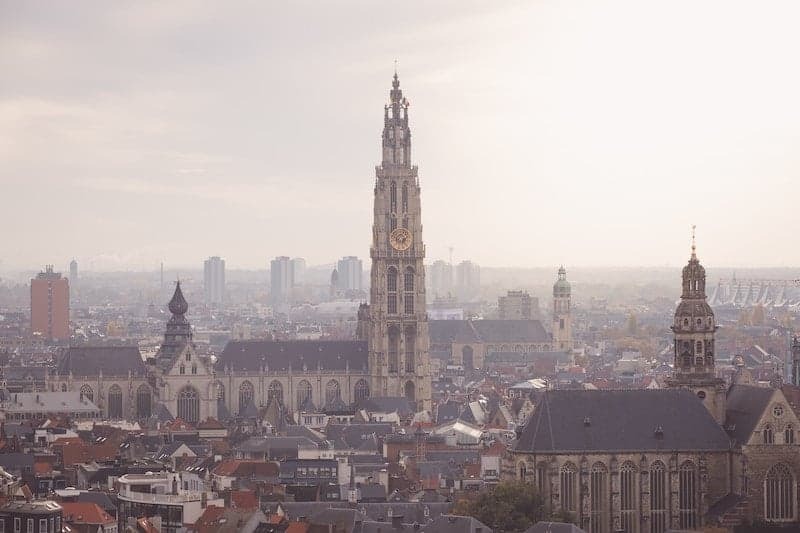 The Soul City Apartments and Radisson BLU Astrid Hotel are both great and LGBT-friendly accommodation option for the Antwerp Pride. Largest LGBT Parade in Eastern Europe Prague Pride was first organized in 2011 and it has only expanded each year. This year promises to be even bigger and better. Prague Pride was first organized in 2011 and it has only expanded each year. This year promises to be even bigger and better. Last year, 92 thousand people visited Prague for the Pride Festival and 40 thousand people marched in the Pride Parade. Will you be one of them this year? 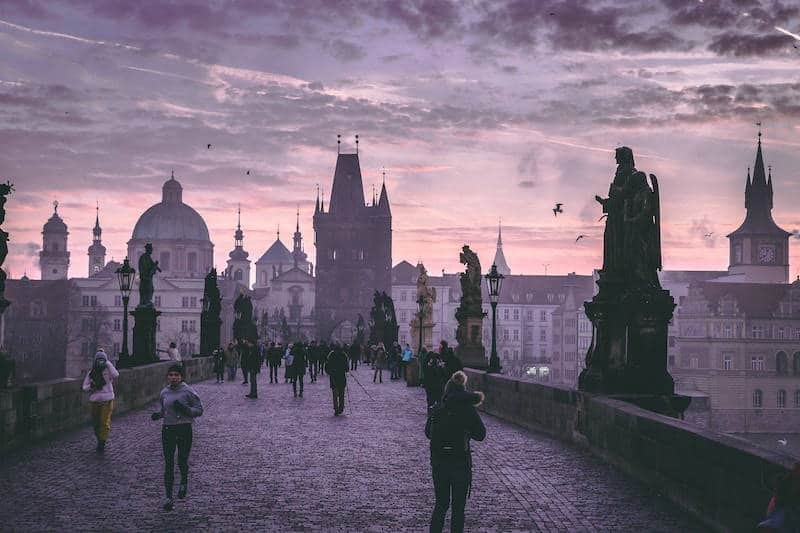 The capital of the Czech Republic is an awesome city trip destination. Why wouldn’t you arrange your travel dates accordingly? This year, Prague has an entire LGBT Pride Week planned for us. Pride Week 2019 starts off the 5th of August and lasts until the 11th of August. The actual LGBT Pride Parade is scheduled for the 10th of August. The Prague Pride Team has partnered up with a few LGBT-friendly hotels in Prague. We’re happy to promote these awesome hotels as well! Vienna House is a hotel group with establishments in different countries. They’re also available in Prague and they’re explicitly LGBT-friendly! There’s a Vienna House Andel’s and Angelo by Vienna House in Prague. Both hotels are centrally located on the East side of the river. Other options are the Emblem Hotel and the centrally located Occidental Prague Wilson. Copenhagen Pride Week 2019 starts the 13th of August and lasts until the 18th of August. The Pride Week program includes loads of free activities like concerts, workshops, parties, seminars, and other fun activities. The actual LGBT Pride Parade happens on Saturday the 17th of August. At 13h, the parade will start marching at the Fredriksberg Town Hall and it finishes a few hours later at the Copenhagen City Hall Square, where the parties continues. 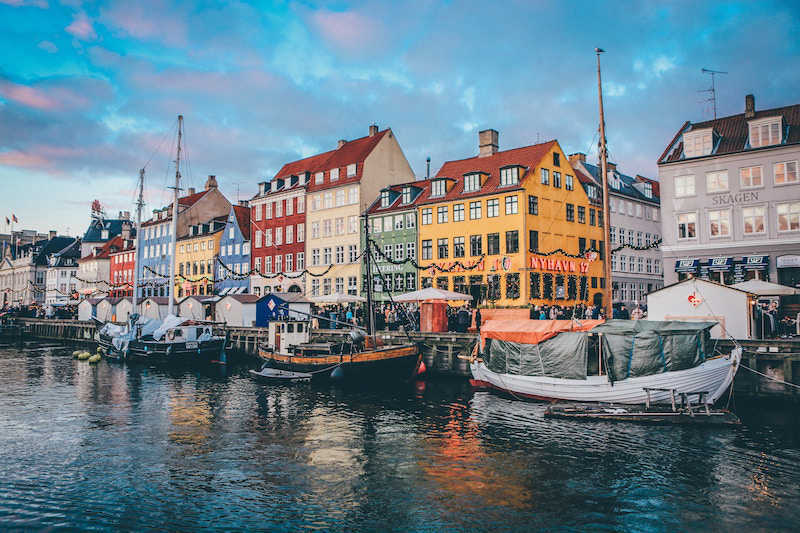 Denmark is, just like any other Scandinavian country, extremely LGBT-friendly, so any hotel you pick is an awesome choice. These are our LGBT-friendly hotel recommendations for Copenhagen. Park Inn Hotel by Radisson is closer to the airport than it is to the city center, but it’s still only 15 minutes away from the center of Copenhagen. Andersen Hotel and Urban House are both LGBT-friendly and they’re located in one of the coolest neighborhoods of Copenhagen: Vesterbro. In 2019, Reykjavik has something special in mind. Not only are they celebrating the 50 year anniversary of the Stonewall Uprising, but the Reykjavik Pride celebrates its 20th anniversary as well. Instead of a week of celebrations, this year the Pride Festival in Reykjavik lasts 10 days. Pride Week in Reykjavik starts on the 8th of August and lasts until the actual Pride Parade on the 17th of August. The LGBT Pride Parade will take off at 14h. The Pride Reykjavik website recommends a few LGBT-friendly hotels in their capital, but Iceland is an LGBT-friendly country and you’ll be welcomed in any hotel. 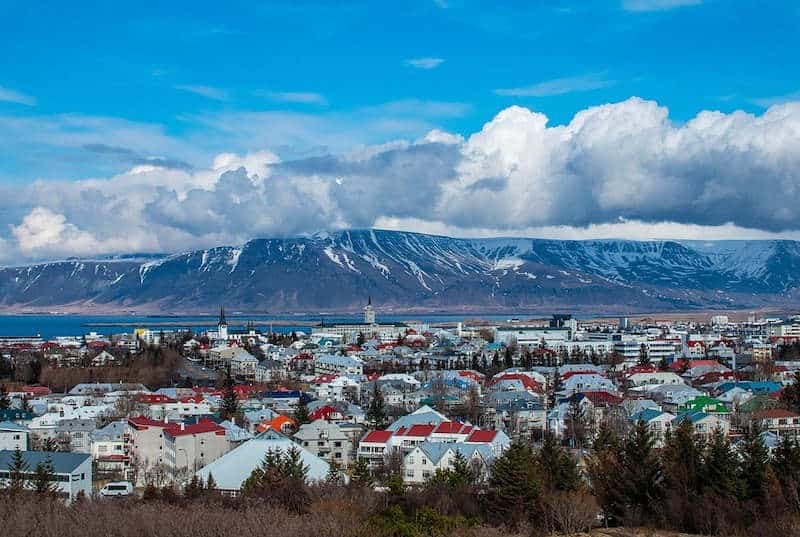 The Icelandair Hotel Reykjavik Natura and the Icelandair Hotel Reykjavik Marina are both centrally located and explicitly LGBT-friendly. Also in the city center, you can find the Radisson BLU 1919 and the Canopy Reykjavik City Center hotel by Hilton, both of which are LGBT-friendly hotels. 14sepAll DayMalta PrideThe right to love, express yourself, reach out, and belong! The right to love, express yourself, reach out, and belong! This beautiful island in the Mediterranean Sea is the setting for another cool September Pride. Malta is an awesome destination in September, as well as in summer, and it is also high on our personal wish list. 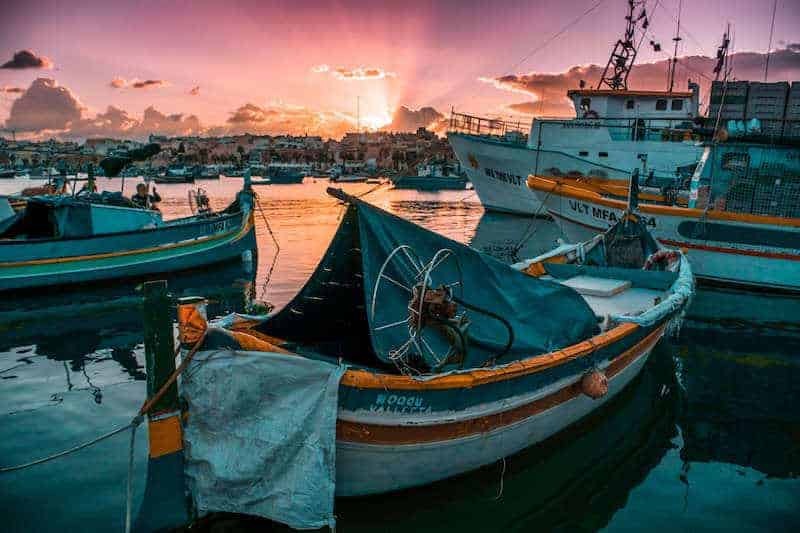 Just Google Malta and let the stunning scenery seduce you! Pride Week in Malta is scheduled to start on the 6th of September and it lasts until the 15th of September 2019. During this week, you can attend loads of different events and activities that are organized in the capital of Malta, Valletta. There’s a Pride Fashion Night, a Pride Pool Party, Pride Boat Party, and so much more. The actual LGBT Pride Parade is happening on the 14th of September 2019, starting at the Triton Fountain in Valletta and ending with a massive afterparty! Malta is an LGBT-friendly Mediterranean island. Loads of LGBT move to Malta each year and you can also find some accommodation options that are LGBT-owned. The Saint John and the Palazzo Merkanti are both luxury boutique hotels in the center of Valletta and they’re both LGBT favorites. La Falconeria is a modern hotel, built inside an ancient building in Valletta. The Arctic Pride in Tromsø is quite special! With a location at 69 degrees North, it’s the northernmost Pride in the world. Also, the Pride Parade and festivities are held in November, which makes it the last Pride of the year. 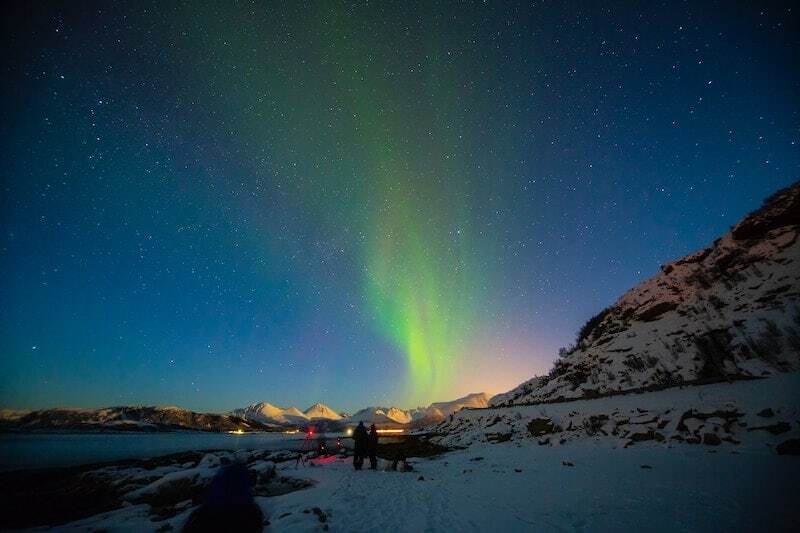 In November, you should be able to see the Northern light in Tromsø! Tromsø Pride is one of the smaller Pride events, but that makes it only more special. In 2018, 6000 people walked in the Arctic Pride. This year, more participants are expected. I must admit: we so want to go to Tromsø!! Pride Week in Tromsø starts the 11th of November and lasts until the 16th of November. The actual Arctic Pride Parade is planned for Saturday the 9th of November at 13h. Clarion Hotel The Edge partners with Tromsø Pride and is an explicitly LGBT-friendly hotel in Tromsø. Another recommended hotel is the Comfort Hotel Xpress. The Radisson BLU Hotel Tromsø is a little more expensive, but a great LGBT-friendly accommodation choice. 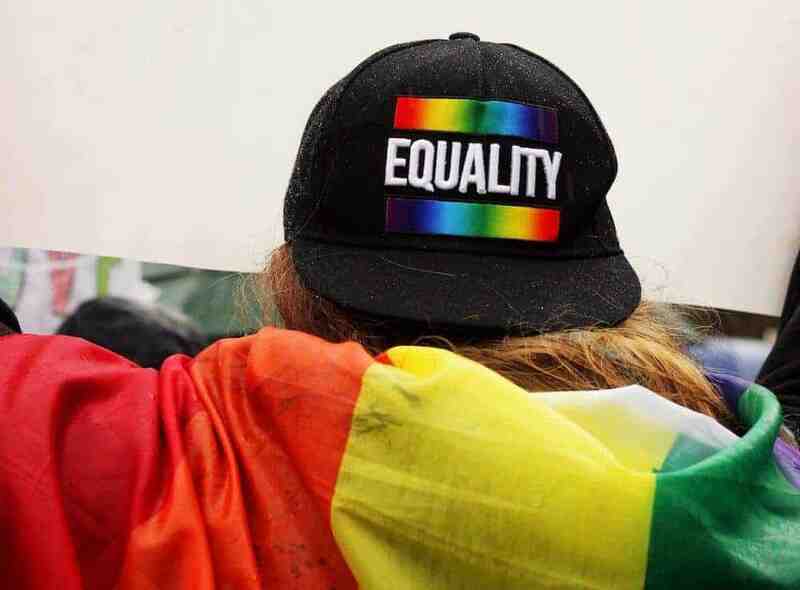 Why is the 2019 LGBT Pride so important? Almost every LGBT Pride Parade organizer talks about it in some way or another. The Stonewall Riots of 1969. This year, 50 years ago, the Stonewall uprising took place and it was the first day of a new era. Most city Pride Parades have activities or ceremonies in order to remember what happened generations before us and how they started clearing the way for future generations… us! That’s why this is important. What is the Stonewall Uprising? The Stonewall Uprising consisted of a series of spontaneous acts of rebellion, some of which were quite violent. The LGBT community in New York decided they had enough of repression and anti-gay attitude of the government. After the riots that happened in the early morning of a summer day in 1969, LGBT people started to become a cohesive community, which made them stronger. Today, the Stonewall rebellion is seen as the most important moment in the history of LGBT liberation. These riots took place near the Stonewall Inn in Christopher Street, New York. So these are the LGBT Pride Events that already have their dates published. Sadly enough, we weren’t able to get the dates for all Pride Parade events just yet. But obviously, we will keep updating this awesome Pride Calendar for Europe 2019! We already visited quite a few Pride Festivals in Europe, but can you ever get enough of these? We visited the Belgian Pride multiple times… And in 2017, Madrid Pride was also the host of the WorldPride, which was an absolute success. This year, New York hosts the WorldPride. But hey, you can still easily attend major Pride Festivals in Europe! Do you have plans to attend any of these Pride Festivals in 2019? Or have you already been to an awesome LGBT Pride Parade in the past? Don’t hesitate to let us know how much you love to celebrate Pride! So much fun to be had in one summer! If I was a full time traveler, I might have my summer plan now. Full-time travel is the way to go! Just kidding 🙂 We wish we could attend many more Pride events than we do, but once a year is a bare minimum! Which ones are you considering?